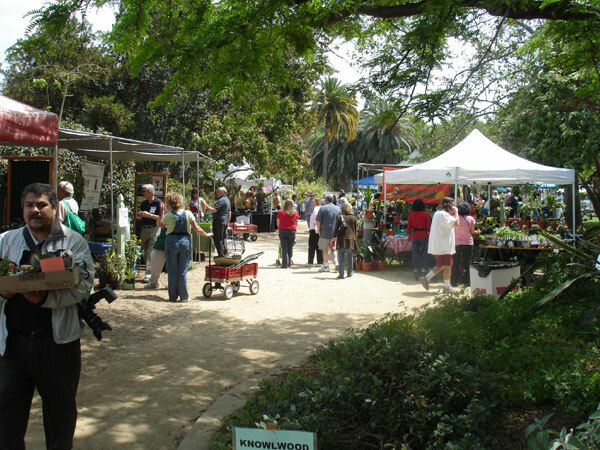 Come to the Fullerton Arboretum for a spectacular weekend long outdoor garden event. Shop nearly 100 vendors for beautiful and unique plants, vegetables, garden art and accessories. Visit the California Organic Gardening Club for all your vegetable garden needs! “Discovery Sessions”: featuring farm food and garden topics led by prominent speakers. Click here for listing of sessions and speakers. Master Gardeners, Horticulturists, and staff members are available to answer your gardening questions. 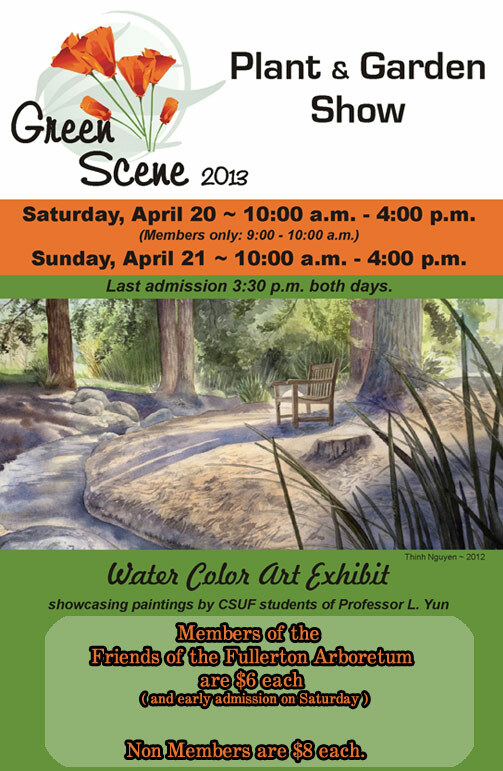 Juried Art Exhibit showcasing a selection of CSUF Arboretum inspired watercolor paintings produced by current CSUF students under the direction of Professor Lawrence Yun. Click here for more information. “Hands-on” Children’s activities sponsored by Home Depot La Habra. Knowlwood “Home of the World’s Best Burger” Food Court offers a variety of food and beverages in a relaxing atmosphere.